and NOW in Tulsa and other places too! 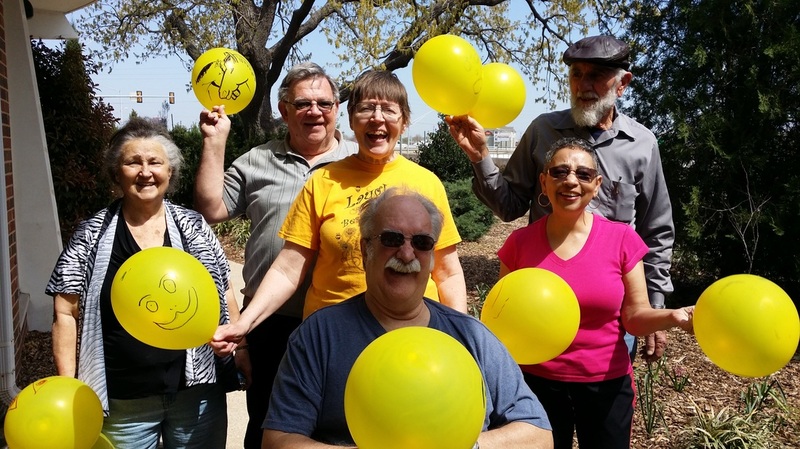 TUESDAY TICKLERS Laughter Yoga Exercise every Tuesday at NOON! at 3400 NW 36th St.
just west of I-44 and NW 36th. ​- Get your Laughter Moves on! to really make a change in your life. We play, breathe, relax and laugh with childlike playfulness. 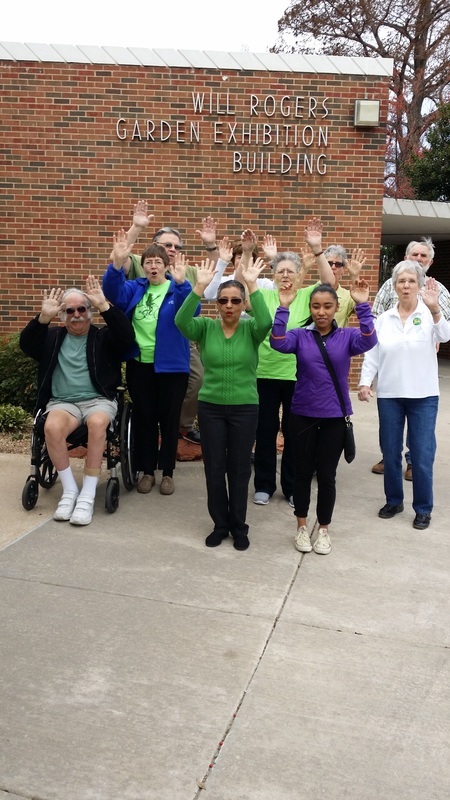 Sponsored by Integris Third Age Life Center -- and OKC Parks and Recreation FREE with optional donation to help support this Laughter Movement. New exercises every week. Bring a friend!. Wear comfortable shoes and layered clothing - no tight waistband. No yoga mat needed! Laughers who choose to will go out to eat lunch afterwards. More Fun socializing and laughing.! Join us weekly to laugh - Try to make it at least 4 times before you decide if this is for you. This has the power to bring Joy, levity and wellness to you. 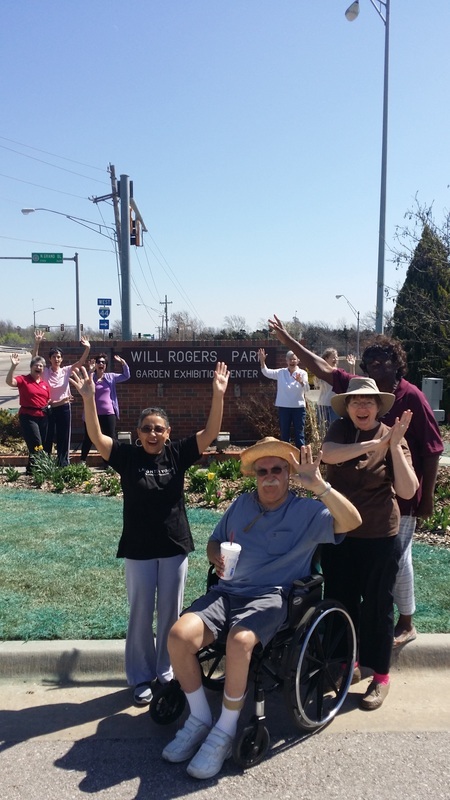 Here is what one recent first-timer had to say "I enjoyed laughing, and walking, and talking with you too, Ellen; I'm very eager to do it again. I know this won't come as a surprise to you, but I was in the BEST mood all day today! Thank you for introducing me to LY! And thanks for the tips on laughing alone. See you next Tuesday!" - J.B.
​Healing, immune boosting, de-stressing, relaxing, creative fun! No yoga mat needed. Interested in feeling better? Looking for low-impact exercise? Laughter Yoga could be the answer. Laughter Yoga Club meets every other Tuesday. 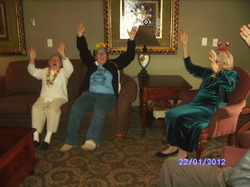 Laughter Yoga is an easy, fun, new and exciting exercise. Try it for improved physical and mental health or out of curiosity. Reservations: Click here to register online_, or call Mickey Hinds (918) 664-9000, ext. 224. Sunday's from 12pm-12:30pm, in Tampa Florida USA. at 15550 Spring Pine Dr, 33624-1875. Check my Facebook page for details, Dr. Gold's Optimal Living Institute. 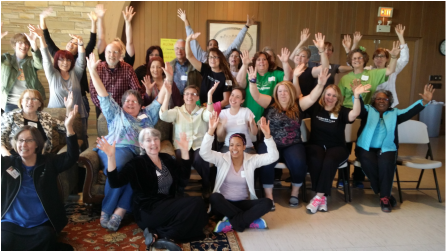 if you have a group and a venue where you want to laugh and experience the healing power of laughter medicine. I will make time for you in my schedule. Fill out the contact form below and let me know when and where you would like a stress relief with laughter program. Laugh just for the health and joy of it! 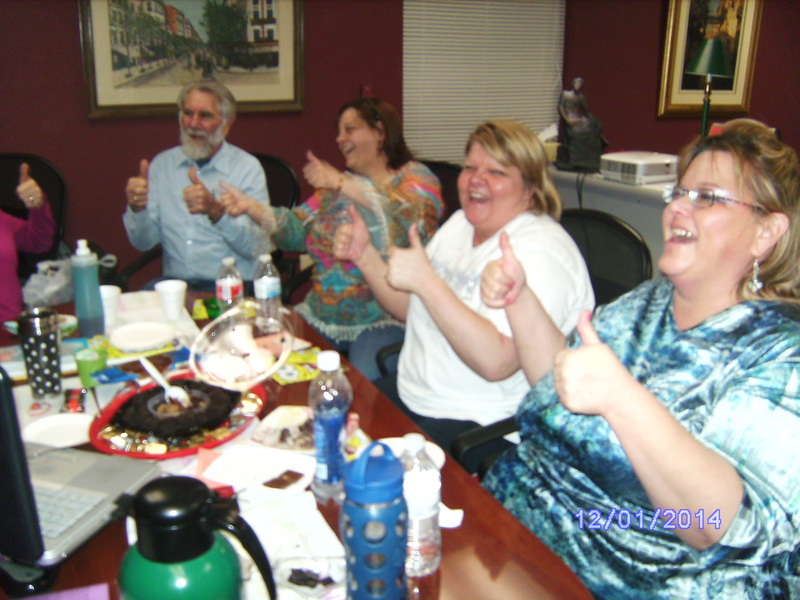 You could be in one of these joyfully laughing groups! Ellen Mercer - Very Good Yeah! ​20 min AM 7, 8, 11, 12:00 central time. PM-7, 10, 11 5pm breast cancer call Just dial in and laugh! -- dial in 712-432-3900 use this code 6071292# join other callers laughing and breathing for 20 minutes. I lead the 7 AM call Central time on Saturdays and Sundays Join me at 7 or 8 am daily! Use contact form to inquire about times. Video of 80's plus laughers I love to laugh with folks at this type community. Contact me to come laugh at yours. 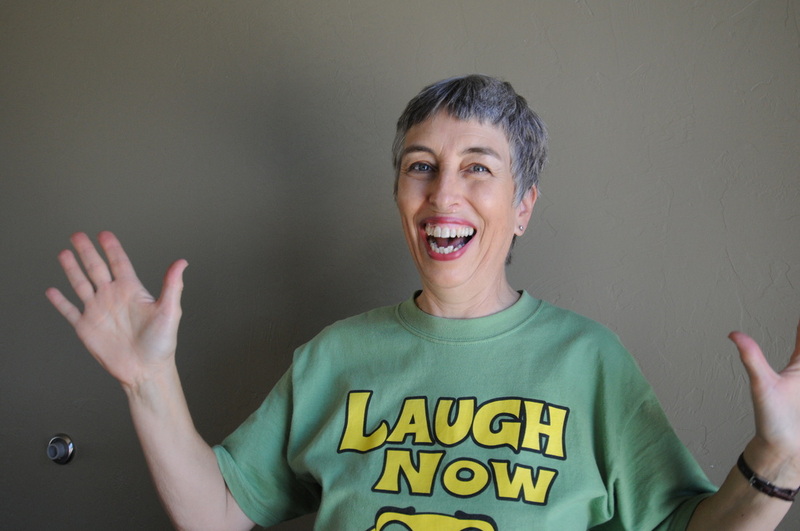 AND IN NORMAN, OK - Certified Laughter Yoga Leader, Cia Campbell (casita905@gmail.com) can lead a laughter session for you. Have you ever heard of Zentangle? Cia Campbell hosts a workshops in Norman occsionally. Please contact her for details.